Super slick and creamy with wonderful ingredients. Top tier shaving soap. Scent is mild but it is going to be increased. BUY THIS SOAP!!! (05-21-2017, 06:49 PM)KAV Wrote: Ingredients, volume, price, vendors? 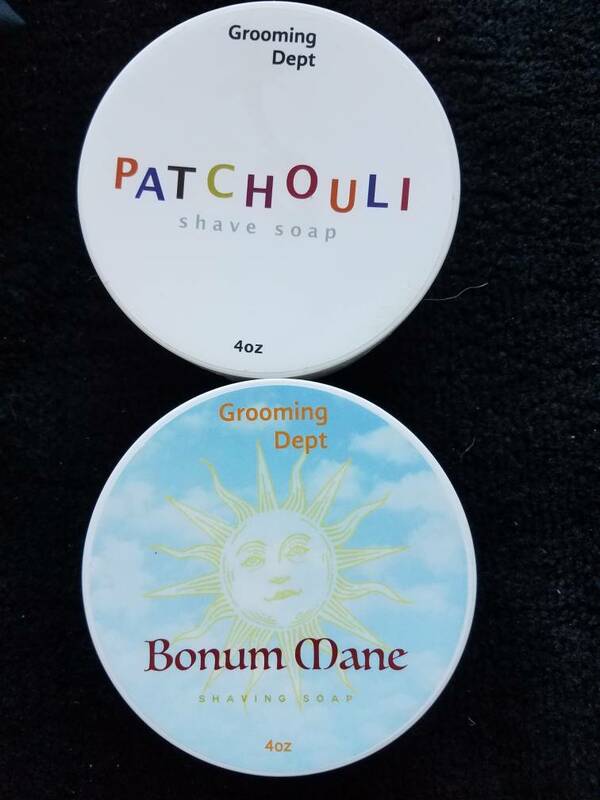 What does Bonum Mane smell like to you? (05-21-2017, 07:06 PM)Asafiev Wrote: What does Bonum Mane smell like to you? It's lightly spicy, the Lemongrass and Mandarin give it a nice citrus top note, the. The Ylang Ylang, Geranium, Lavender and the Juniper Berry are the middle note, they create a lightly floral, fresh woody note. The Patchouli with musk anchor the woody character of the fragrance. Rawfox.. So it sounds like they go really super light on their scent strengths. You said something about the scent strengths are going to increase? (06-11-2017, 06:11 AM)TONE Shaves Wrote: Rawfox.. So it sounds like they go really super light on their scent strengths. You said something about the scent strengths are going to increase? One of the top 3 soaps in production today in my opinion. The scent strength has increased on the second Elan run and others. Mohammad is presently improving his base and don't forget the new tallow & duck upcoming. Phenomenal shave soaps. As Rawfox1 said he was just excited about this new soap. This soap maker is not, as of yet, a paying member of another forum that rhymes with book hence no revenue stream for the forum's owner. Thus no links are allowed. Happened to me with Phoenix & Beau without knowing. I was confused thinking it was a shave forum until I realized it's just a store front for the owners shop. (06-11-2017, 11:23 AM)vtmax Wrote: One of the top 3 soaps in production today in my opinion. The scent strength has increased on the second Elan run and others. Mohammad is presently improving his base and don't forget the new tallow & duck upcoming. Phenomenal shave soaps. This soap maker is not, as of yet, a paying member of another forum that rhymes with book hence no revenge stream for the forum's owner. Thus no links are allowed. Happened to me with Phoenix & Beau without knowing. I was confused thinking it was a shave forum until I realized it's just a store front for the owners shop. Yeah I'm very intrigued by the Duck tallow soap. I ordered my first tub today, couldn't help it..